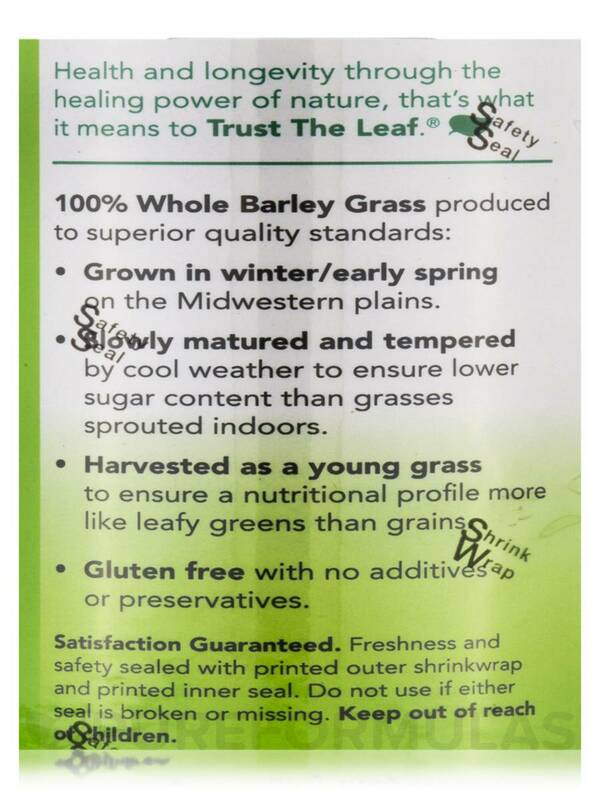 Barley Grass Bulk Powder is 100% Whole Barley Grass grown in the winter and early spring on the Midwestern plains. 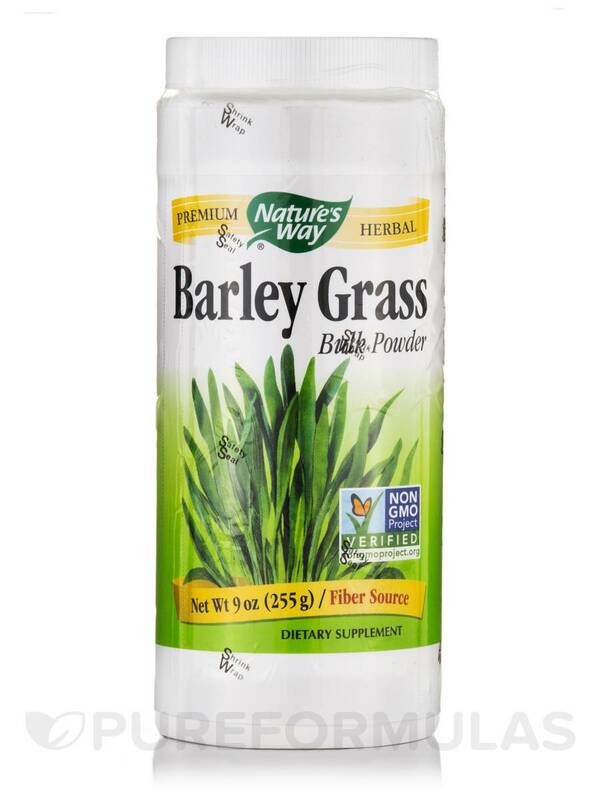 Slowly matured and tempered by the weather‚ natural Barley Grass has a greater nutritional value and lower sugar content than Wheat Grass or Barley Grass sprouted indoors in a warm environment. 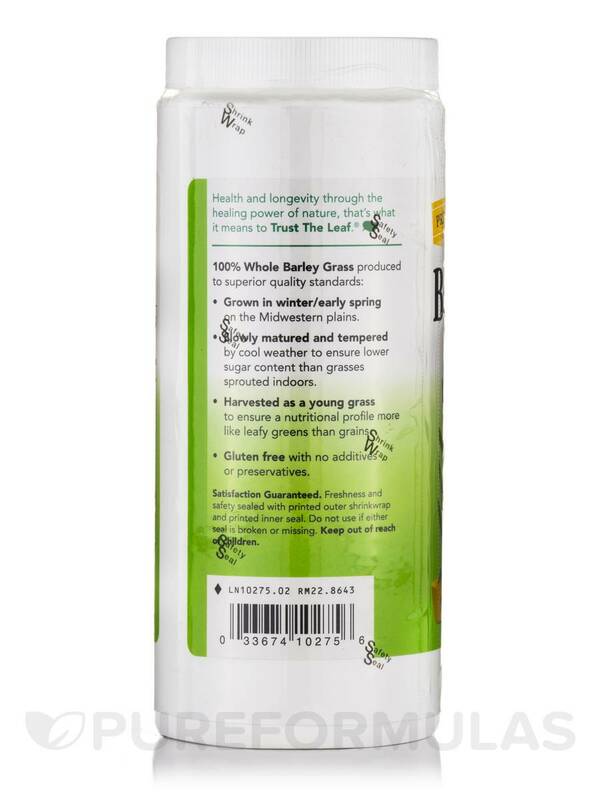 Product contains no additives‚ diluents‚ chemicals or pesticides. Stir 2 heaping teaspoons of powder into cold water or other beverage as desired. 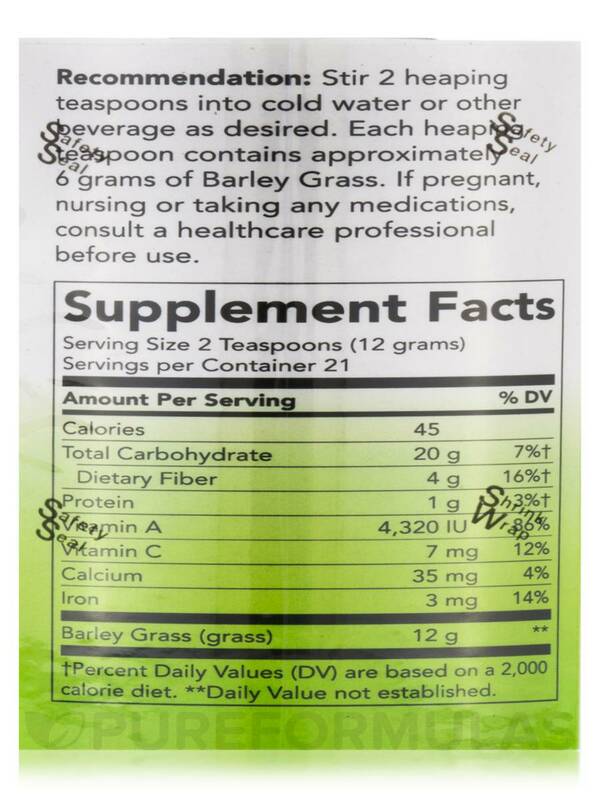 Each heaping teaspoon contains approximately 6 grams of Barley Grass. 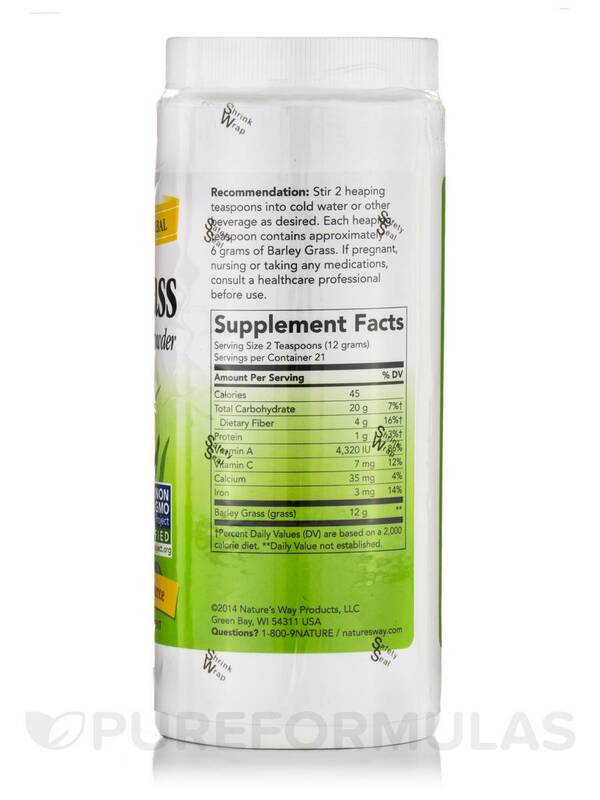 If you are pregnant consult a healthcare professional before using this product.